Good internal egg quality can be defined by yolk color, albumen quality, and vitelline membrane strength. Genetics play an important role in resulting egg quality, but how do feed and management factor in? Depending on where you are in the world, consumer preferences will dictate desired egg colour and egg size; however, good quality eggs should always be free from internal blemishes such as blood spots, pigment spots, and meat spots. Within Hendrix Genetics’ breeding department, more than 50 traits are examined within our R&D facilities that are linked to egg quality. This large collection of data ensures that the best birds are selected for producing good quality eggs. Genetics play an important role in resulting egg quality, but management is another key factor. Health and management are also important factors in achieving good internal egg quality. 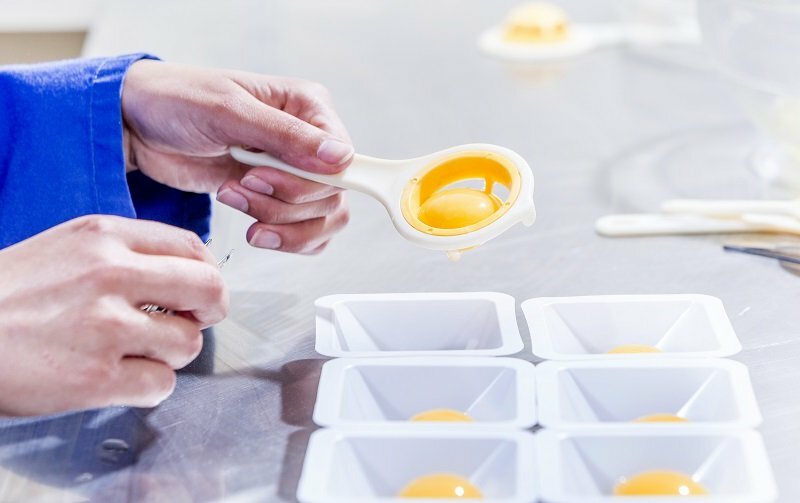 Egg yolk colour can be controlled using carotenoids, whether from synthetic or natural origin, to achieve the desired yolk colour. Carotenoids bring colour to the egg, and they also modulate the anti-oxidant potential of the eggs, which can affect embryo development as well as enhance the yolk’s health benefits. When looking at egg yolk composition, the feed composition will be a strong reflection of the end result. Egg yolk fatty acid profile is directly linked to the fatty acid profile of diets. Diets rich in omega 3 and omega 6 fatty acids will lead to egg yolk rich in a feed fatty acid profile. The concentration of feed vitamins will also affect egg yolk vitamin composition. Within the egg yolk, mainly fat soluble vitamins are transferred, such as vitamin A, vitamin E and vitamin D (Leeson and Caston, 2003). Water soluble vitamins are also transferred to the egg yolk such as riboflavin, folic acids, niacin, thiamine, pyridoxine, panthotenic acid, biotin and vitamin B12 (Leeson and Caston, 2003, House, 2002). In addition to maintaining high internal egg quality, certain imperfections in the egg yolk should also be avoided. Blood spots found into the egg weight can have some nutritional links. Blood spots are affected by mycotoxins contamination like ochratoxin (Shirley and Tohala 1983), strong choline deficiency, vitamin A (Bearse et al., 1960) and vitamin K (Berruti and Didrick, 1961). The most common test for internal egg quality test was invented by Raymond Haugh in 1937. 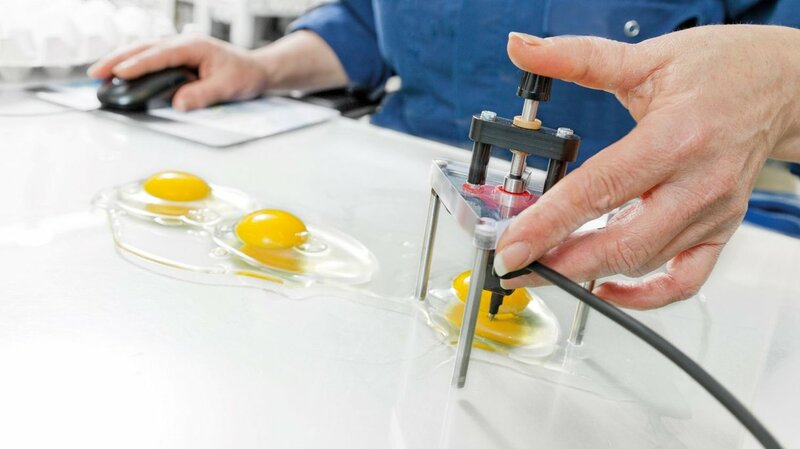 After being weighed, an egg is broken onto a flat surface and a micrometer is used to determine the height of the thick albumen that surrounds the yolk. The height, correlated with the weight, determines the Haugh unit, or HU rating. The higher the number, the better the internal quality of the egg. The albumen ratio is important to the food processing industry as standards demand a certain quantity of good solids (dry matter) in the eggs. Another important parameter for egg quality is the vitelline membrane strength. A strong membrane is useful to keep the egg white and yolk separate. A weak membrane can lead to important economic losses within an egg processing plant because once the membrane is broken, the egg yolk can pollute the egg white. There are a number of factors that may affect Haugh Unit: egg storage time and temperature, hen age, nutrition, disease, supplements, exposure to ammonia, induced moult, and medication (Roberts, 2004). High vanadium levels in the feed are one potential cause of lower Haugh Units as vanadium can reduce the amount of crude ovomucin per millilitre of thick egg albumen. Longer storage time, especially at higher temperatures, can reduce the albumen quality as the pH increases over time. In addition, the quality of the vitelline membrane declines, making the yolk more breakable. When identifying the cause of poor albumen quality, be sure to look at the risk of disease. Infectious bronchitis virus has been observed as a main contributor to reduced albumen quality. Other potential disease factors are Newcastle disease, laryngotracheitis, or egg drop syndrome. Like the egg yolk, the vitelline membrane’s fatty acid profile depends on the fatty acid profile of the feed. Saturated fatty acids have been shown to increase vitelline membrane permeability (Aydin et al., 2001). Additionally, vitamin E can be used to increase vitelline membrane strength. All nutritional factors affecting egg composition, whether the internal or external egg quality, are linked to nutrient intake. It is important to manage the birds’ feed composition as well as feed distribution management. 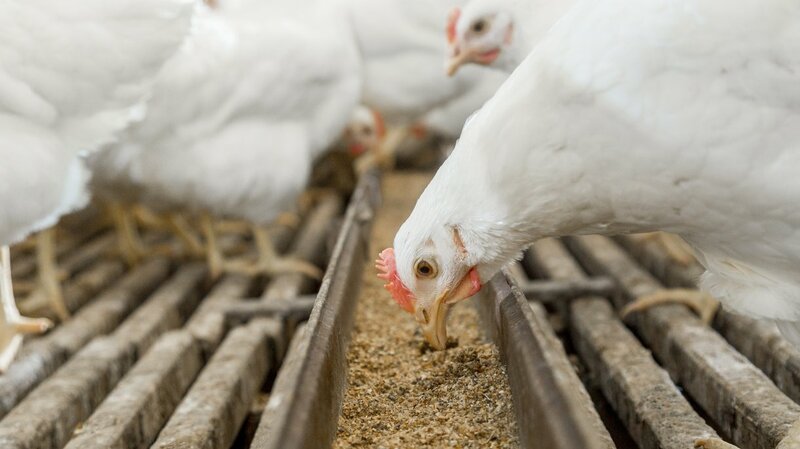 Laying hens have a strong preference for coarse feed particles. Feed distribution management must introduce an empty feeder period in the middle of the day for 1 to 1.5 hours to secure fine particles consumption. The goal is to secure an intake of small particles containing phosphate, vitamins, trace elements and pigments. When birds are given the opportunity to sort feed particles, the eggs produced will be very variable in terms of composition. An empty feeder technique will promote uniform feed consumption for uniform egg quality. Looking at each of these factors will enable egg producers to monitor and optimize egg quality. Contact your nutritionist or technical service representative for more advice and recommendations on achieving good overall egg quality. Aydin et al ., 2001 J. Nutr. 131, 800-806. House, 2002 Poult. Sci. 81:1332–1337.